PopEntertainment.com: Roger Daltrey interview about Teen Cancer America. Copyright �2012 PopEntertainment.com. All rights reserved. Posted: May 5, 2012. In 1965, The Who released the single �The Kids are Alright,� a catchy ode championing the power of teens. 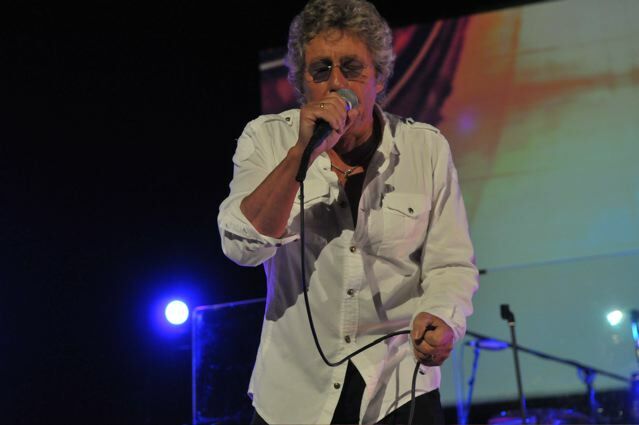 Now, almost fifty years later, the band�s lead singer Roger Daltrey is still taking care of the kids. 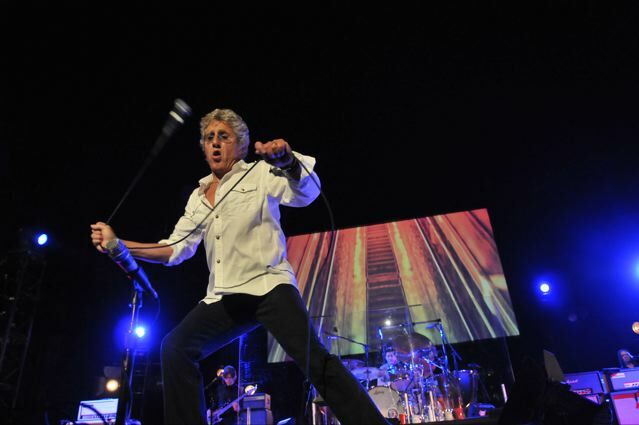 Together, Daltrey and fellow Who partner Pete Townshend are aligned with the UCLA Health System and have created Teen Cancer America, an outreach of the UK Teen Cancer Trust. Dedicated to constructing specialized medical units designed specifically to suit the physical and emotional needs of teenagers afflicted with the disease, the UCLA Daltrey/Townshend unit is slated for completion in the summer of 2012. From there, the Daltrey/Townshend Teen Cancer America program has plans in the works to build additional centers throughout America. Passionately committed to the cause, we met with Roger Daltrey at UCLA who shared the background about this important and groundbreaking program. Teenagers have been so important in your career with The Who and here you are giving back. Why Teen Cancer America? Basically, I wouldn�t have the privileged life I�ve had without the support of teenagers. When you think about the music business as we know it it�s built on the backs of teenagers. So I just feel at this time in my life where I�ve got time on my hands - more than I�ve had for years and years - this is something I can do to give something back and hopefully something I can get done in my lifetime. Even if I�ve only got ten years left, I can see that once it�s out there it will be there forever. How did you get involved with Teen Cancer America? I got involved in it from the beginning. The whole idea for the Teen Cancer Trust in England was started by my doctor and his wife, who recognized this age group just didn�t exist in the medical profession, which is kind of weird. Didn�t James Dean and Elvis show us that there was something in between? (laughs) They watched this situation in our National Heath Service where teens stricken with cancer were stuck next to a geriatric dying of cancer. This was a terrible situation. So they decided to provide these spaces where every teen who gets cancer in our country would be catered for in a place that is teenage friendly, a place designed by teenagers, where they could behave like teenagers. They can cook for themselves. They can have MTV all night. They can get all their treatment. Their parents are cared for and given support, which is hugely important. By putting them together their whole well being changed, I�ve seen it with my own eyes. I can give you an example. We actually have to build these in England and it�s very expensive. We were going to build this one in Cardiff, in Wales. Because of the way the hospital was built, we had to design it to build on stilts. The costs of this one unit was three and a half million pounds, which is about six million dollars. The head nurse of adolescent medicine in the hospital, wrote a letter complaining, �This amount of money should never have been spent. This is insane to spend this much money!� Anyway, we built it and this same nurse took teenagers all around the hospital, some with children, and some with old farts like me. Within a week she wrote us a letter and said, �I�ve seen miracles. I�ve seen a boy who�s not gotten out of bed for two months and now has been through every inch of this unit. He�s a different boy, completely changed.� The letter just says it all because she just couldn�t see it. But when she worked on it, she said, �To come to work now, I�m doing the same job I have done but it�s a joy being here now because the teens are so much happier. They�re all together and they support each other. They talk each other throughout the illness.� It�s just wonderful. So for the last ten years I�ve been trying to get it over here and I just got lucky. I did a charity event for autism and another program in LA called �Canine Connection� where they put young teenagers who�ve gone astray, one step out of jail, and they give them a dog and it�s healing. All of a sudden they get something to love in their life and that changes them as well. So we did this show and I happened to meet David Feinberg who runs the UCLA Hospital. I told him about what we were doing, because he�s an eminent child psychologist. He totally got it. He said, �I�m going to make sure we do that.� That was two, three years ago. And here we are. We�ve done the fundraiser to raise the money to put in it and it will hopefully be up and running by June or July. Is it similar to what�s set up in England with the amenities for the teens? Yes. UCLA sent a team over to England two years in a row and they studied everything we do. David Feinberg sent a team over, initially to figure out whether it was worth doing. You can�t do this without the help of everybody being committed and saying we�re on board on this, because this will make everybody�s life easier. It�s just a bit of organization within the hospital, that�s all it is. So he sent a team over and they said, �We�ve got to have it. It�s the gold standard.� And from then on it has run its course. Like I said, it will be finished in July and it�s the first one. It�ll be called the Daltrey/Townshend unit. They wanted to call it that, we certainly didn�t insist on it. (laughs) I�m very honored that they�ve done that. We�re in the process of putting the team together for the Teen Cancer America Foundation organization in place. But while that�s happening UCLA are acting as our broker. If you go onto their web site, you can go into Teen Cancer America and they�ve got an escrow account and they�re holding onto the money. If you want to contribute some money, you can do so. I encourage everyone to help. If money comes through Teen Cancer America it will then go to the hospitals around America where we�ll build these units. How would you encourage people to get involved? I�d encourage people to get involved with fundraisers, as well as awareness, because teens suffer from the worst cases of late diagnosis because they�re so active. They get a bump and think, �Oh, I cut my leg playing football� and it�ll be aching for a week. Then after two weeks they might go and see a doctor who could see, �Well, you�ve got a bruise playing football� and leave it at that. Then they�ll go back in another month after it still hasn�t healed and they�ve got something really serious. So awareness and more education is crucial. We provide in that we go around to schools teaching teens. Don�t be frightened to check your balls and your breasts. You�ve got to do it. It really is important. It�s such a closed-up society and people get embarrassed to talk about it, but you need to do it. You must save your life. 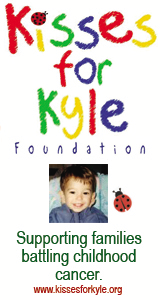 The first thing we created was the �Double O� charity and we did all kinds of different things. Then Pete (Townshend) took that over after Keith (Moon) died. We all still did things for it, but he kind of ran that. �Who Cares� is just the name we put on all of our charitable work. We�ve performed at so many charity events, so it seems right to have a name for what we do. Who cares just says it all. You can only do it if you believe in it. That�s how I am. You recently headlined a show at London�s Royal Albert Hall which featured an appearance by Paul McCartney. That�s right. Well, I�ve run that for 12 years. It�s a week of concerts. I get artists to come and do the show for nothing. It�s at the Royal Albert Hall, which is a very prestigious venue in London. It�s the most wonderful venue to play. 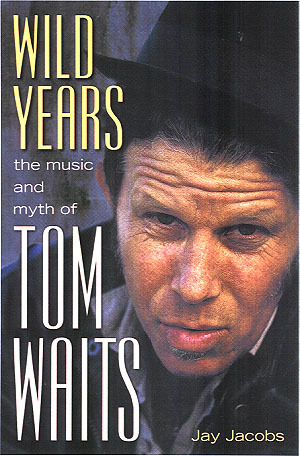 I�ve had tremendous support from the music industry. It�s all for the Teenage Cancer Trust. That night with Paul was great because Ronnie Wood was on the stage as a well. So there was a Stone, a Beatle and a Who onstage, so that was rare. I�ve shared the stage with Paul before at Live Aid and then Live 8. Paul was incredibly generous. He was fabulous. Sadly, he�s had first-hand experience with how nasty that disease is, with the loss of his wife from this awful disease. It must feel good to give back. Hey, I�ve been given a lot. My life�s been a dream, so I�m very happy to give back to something that really counts. Lastly, what are your hopes for the future of Teen Cancer America? I just hope I can inspire people to understand how needed this is, looking after this age group, because they are going to be your future leaders and they will create a better world. You look after them when they�re being kicked, it will change things. Make no bones about it, the idea for this cancer charity is once we get these units in, all of them will have access. It�s not going to be exclusive to the ones who have money and the others won�t get in. There�s not going to be any of that stuff. I can�t change the world, but I can build a brick. That brick might go on to build a very big city. #1 � 2012 Matt Boatright-Simon. All rights reserved. #2 � 2012 Matt Boatright-Simon. All rights reserved. #3 � 2011 Jim Rinaldi. All rights reserved. #4 � 2011 Jim Rinaldi. All rights reserved.